Whether you run a small boutique or a high-volume commercial warehouse, being prepared for a fire will ensure you and your employees remain safe and sound should one happen. That’s why having a safety plan in place before such an emergency is key. Having a reliable fire alarm system installed in your facility will help alert all your staff and visitors that they need to evacuate the building. If your alarm system is also designed to contact first-responders, then you can begin evacuating after the alarm has been triggered; if not, contact 911 immediately to make certain that a team of firefighters is on their way. The sooner you alert authorities, the better chances you have of minimizing damage. To ensure everyone makes it out of the building safely, ask all of your employees to stop what they’re doing and proceed to the nearest exit. 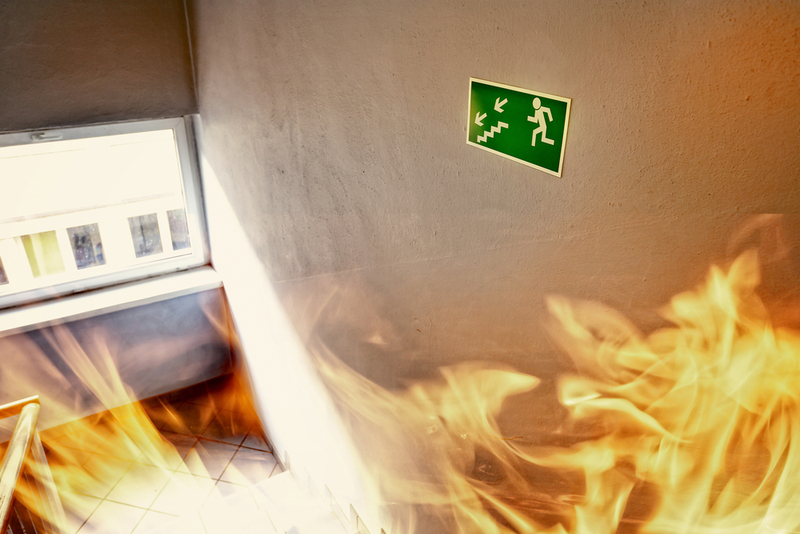 Since all businesses are required by law to maintain a fire evacuation plan, there should already be a predetermined escape route in place. Every staff member and visitor should proceed to an exit immediately without stopping to collect personal belongings; their safety is paramount. If your exit has been blocked by fire, tightly close all entryways to prevent smoke inhalation and wait for help to arrive. Once you’ve evacuated the building and rendezvoused at the meeting point designated in your fire safety plan, it’s important to take stock of all those present. Perform a head count of employees and visitors who were in the building that day to make certain no one is missing. If someone is missing, avoid re-entering the building; you should notify safety personnel of their absence. Being prepared for an emergency by following the tips above will ensure everyone makes it out of your building quickly and safely. To learn more about how to prevent fires, Major Fire Protection Corp. in Long Island City, NY, will be happy to speak with you. For over 22 years, they’ve been equipping businesses with outstanding and affordable fire protection services. Whether you need fire extinguisher refills or ventilation services, they can handle it. Call them today at (718) 784-5380 to learn more, or follow them on Google + for regular tips and updates.